BUKIT LANJAN: Nissan to launch the all-electric Leaf in Malaysia? Really? And, autonomous EVs to affect real estate valuation? 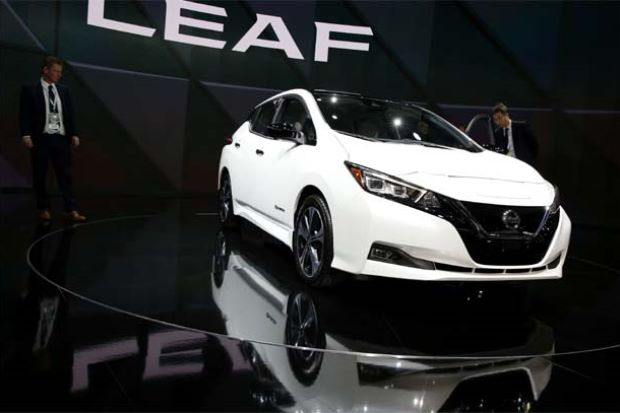 It was great and exciting to read that Nissan Motor Co will launch the new version of its all-electric vehicle Leaf in seven markets in Asia-Pacific, including Malaysia, next year. But Malaysia does not even have the laws and enforcement guidelines ready for electric cars to rule the roads. So, is Nissan’s announcement premature, at least for Malaysia? “There is absolutely a lack of information on the status of electric vehicles (EVs) and autonomous EVs from the federal government,” Gerakan Deputy Speaker Syed Abdul Razak Alsagoff said. Syed Razak urged the federal government, namely the Transport Ministry, to release information on the use of EVs on Malaysian roads so that “consumers are prepared”. “If Nissan is launching its Leaf next year, why is it that Malaysians do not know anything about EVs and the laws and enforcement?” he asked. The following article appeared in the ACC Docket January/February 2018 issue. Read more articles from the Ethics & Compliance issue here. Syed Razak, who is Gerakan’s nominee to contest N.37 Bukit Lanjan in the coming 14th General Election (GE14), said replacing Internal Combustion Engine (ICE)-powered cars with EVs on Malaysian roads would result in a cleaner enviroment for the country. “Malaysians need to know and be prepared for the change. There are many questions in the mind of consumers. “How long will ICE cars and vehicles be allowed on the roads before they are banned? How much road tax do we need to pay? “What are the laws and guidelines, if any, for the use of EVs? And, lets not forget, investors and businesses in the motoring and motoring-related industries also need to be prepared for the automobile transformation. “There’s also a piece of news on how driverless cars can also affect real estate valuation!” he added. "We are seriously planning. I want to find some good chance to announce some concrete timing in the market," Yutaka Sanada, Nissan's regional head, said when asked about the company's plans for "e-Power" technology in Southeast Asia. SINGAPORE: Nissan Motor Co said on Tuesday it will launch the new version of its all-electric vehicle Leaf in seven markets in Asia-Pacific, including Malaysia and explore bringing it to two more, in its latest push to boost sales of electrified vehicles. Lower-emission vehicles have become a major priority for the world's top automakers, who are poised to introduce dozens of new battery electric and hybrid gasoline-electric models over the next five years. Nissan, Japan's No. 2 automaker, will launch the model in Australia, Hong Kong, Malaysia, New Zealand, Singapore, South Korea and Thailand during the next fiscal year, and also explore introducing it in Indonesia and the Philippines. The company is also looking at the option of bringing vehicles based on its "e-Power" gasoline hybrid technology to Southeast Asia. He said the technology was a "very good bridge" to attract car buyers to try electric vehicles as it gave the experience of driving an electric car, but did not require charging stations. Currently, electric cars account for a small portion of the market in Southeast Asia, due to low affordability and the lack of charging infrastructure. For example, the share of hybrid and electric vehicles in 2017 was less than 2 percent in Thailand and 0.4 percent in Indonesia compared with Japan's 27.3 percent, data from LMC Automotive shows. Sanada said that while there were no immediate plans to produce electric vehicles in Southeast Asia, Nissan would consider local manufacturing depending on market growth. "Once regional demand is to some size, of course in order to keep efficiency, we consider local production. It is normal for all manufacturers," said Sanada, a regional senior vice president at Nissan. 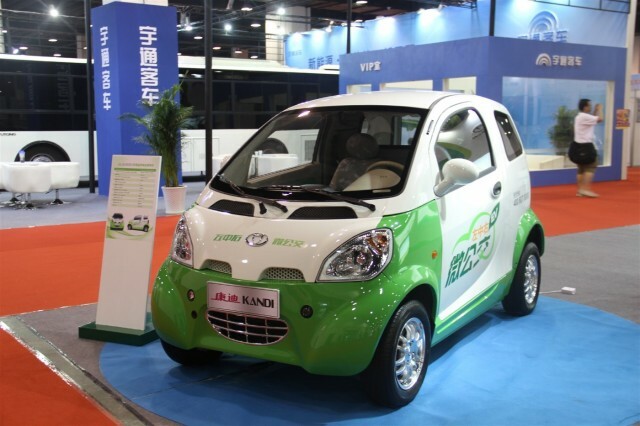 He said the company was discussing a number of ideas, including the expansion of charging stations, with the government in Thailand, which is offering incentives to car manufacturers to localize. It’s still “a no-brainer” in the 21st century, says Bridget Buxton. She bought a fixer-upper with her husband in a scruffy part of east London in 2016 because it’s a short walk to the high-speed crosstown rail line due to open this year. Prices are up 90% in the past five years for homes like hers, far outpacing the whole city. 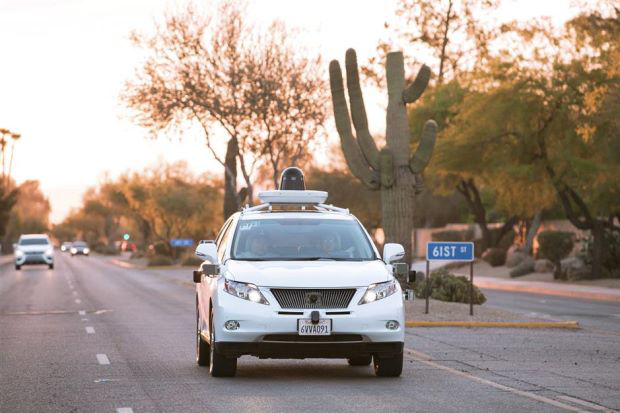 But now, the dawn of the driverless car – promising a utopia of stress-free commutes, urban playgrounds and the end of parking hassles – threatens to complicate the calculus for anyone buying property. 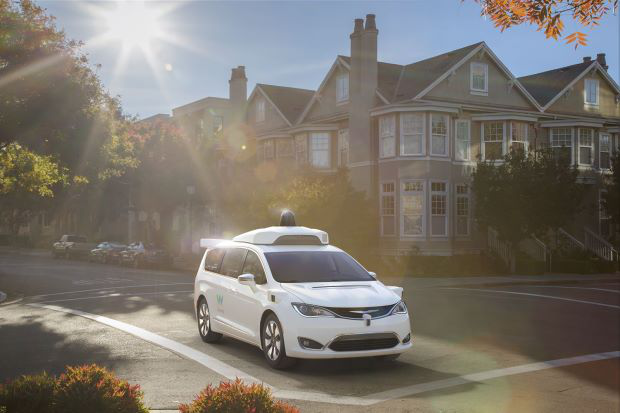 It may take a while: The earliest examples of driverless services – buses, taxis and delivery vans – have already arrived, but widespread consumer adoption might not be here for a decade. And almost half a century passed from Henry Ford’s 1908 Model T, the first car for the masses, before suburbs designed for drivers took hold. And that’s why investors like Ric Clark, chairman of Brookfield Property Partners LP, the world’s largest real estate investment company, admit they’re involved in little more than guesswork. They’re just starting to think about what to do with all the space that could be freed up in a world where cars no longer sit idle for an estimated 95% of the time, whether unloved areas without mass transit might soon become more attractive, whether out-of-the-way greenfield sites will become valuable locations for warehouses. As fracking upended the oil industry by giving new life to old fields, so the driverless future offers to free up whole new neighbourhoods. Then again, the disruption offers blessed relief to the working world’s most harried people – commuters – foretelling a new era of sprawl by encouraging development of outlying areas. Google parent Alphabet Inc has imagined such a world in an autonomous-only future. Sidewalks Labs, Alphabet’s urban-development unit, is designing a district in Toronto’s eastern waterfront that could be among the first fully driverless neighbourhoods. In the UK, areas that have been most popular for delivery companies, like the so-called golden triangle in centre of the country, may take a hit since there will no longer be limits on drivers’ shifts. Companies such as Amazon.com have to set up in the area, which is uniquely within a single shift drive from most everywhere in Britain, pushing up rents for warehouses in the region. “Things like driverless cars have huge impacts in the long term that we don’t pretend to have a view on but we need to be around it,” Tim Mooney, global head of real estate at Varde Partners LP, an alternative money manager with about US$13bil (RM50.87bil) of assets, said in an interview. They say we'll have self-driving cars in the future. Well, in many ways, the future is already here. Automotive technology is advancing every day to make driving safer, easier and more pleasant. Several of those futuristic features are already standard in today's vehicles, or soon will be. Though Uber expects to have its Elevate pilot running in Los Angeles and Dubai by 2020, flying cars are not yet a thing. But there are plenty of cars on the road that will steer, hit the gas and even take the wheel to avoid crashes for you, among other things. Semi-autonomous driving. Often used in combination with adaptive cruise control, this technology registers lane markers, then uses them to gently guide the driver's steering to stay safely within the designated lane. Crash avoidance systems. This ever-advancing technology uses radar, laser or cameras to detect oncoming crashes. They can either warn the driver or take over, applying the brakes, steering to safety or a combination of both. Crash avoidance technology is often paired with adaptive cruise control and piggybacks on the same technology. Self-parking cars. This feature takes care of one of the most daunting driving manoeuvres – the parallel park. Though it's not a new feature, (Toyota first installed it in Japanese Prius models in 2003), it keeps getting better and more readily available. It coordinates control of the car's speed and steering, and applies them to its exact surrounding environment to make the most efficient, safe use of available parking space. Blind spot and lane-change assistance. Roughly a quarter of all collisions happen when a vehicle is changing lanes. With this technology, warning lights let the driver know when there is a vehicle in his or her blind spot, or when there is traffic approaching quickly from behind, helping them better assess how and when to change lanes. Top-view camera. And you thought the rear backup camera was cool. The top-view camera gives the driver a 360-degree panorama view surrounding the vehicle as well as a bird's-eye view of the car, along with any nearby road markings, curbs, obstacles or pedestrians. The moving images show up on the car dashboard display in real time, and audio signals let the driver know if the car gets too close to something it might hit. The cameras are designed to prevent pedestrian deaths and injuries, as well as minor vehicle damage. Audi's Virtual Cockpit. It's considered the gold standard of the so-called "infotainment" options that pull together connectivity, apps, smartphone integration and GPS navigation. It's intuitively controlled with a yacht-style gear selector, which the driver manipulates with gestures, taps and swipes. Its most compelling feature is its navigation view, which shows your driving route within a high-resolution Google Maps layout in your dash. 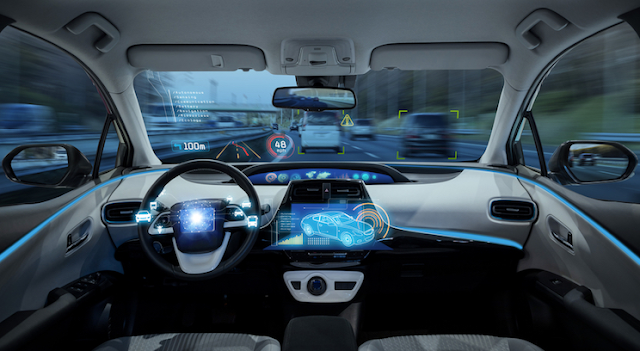 Autonomous vehicles at all stages of development are currently being tested all over the globe, but it's now becoming increasingly apparent that artificial intelligence (AI) will play a big part in making them a reality on our roads and in our showrooms in years to come. 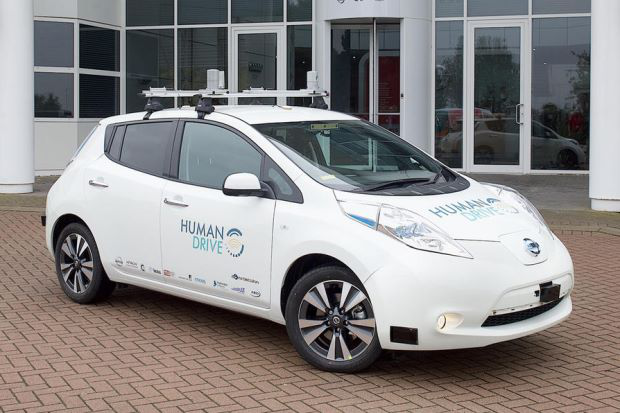 Now an autonomous vehicle controlled by an artificial intelligence system is set to drive across the UK at the end of next year, emulating the driving style of a human as part of Renault-Nissan-Mitsubishi's autonomous research programme. HumanDrive is the name of the project, and it will see the AI system being responsible for everything, which means steering, braking, speed, road position, decision-making and the perception of conditions and features needed to pilot the vehicle fully. However, before the project gets to that point, private testing will be carried out first on a test track and on public roads. But this will be done in much smaller sections than the eventual cross-country test scheduled for 2019. The HumanDrive project has so far received input from the Renault-Nissan-Mitsubishi Alliance, Cranfield University, University of Leeds, Highways England, Horiba Mira, SBD Automotive, Atkins and Aimsun. Chief technology officer Mark Westwood, from the UK automotive innovation centre, Transport Systems Catapult, explained, "This pioneering project will considerably enhance the experience of drivers who use future autonomous vehicles. We've only just scratched the surface in terms of the capability of machine learning and AI in driving." He went on to add, "The HumanDrive project further reinforces the UK's commitment to be at the forefront of future mobility and as a world leader in R&D. We are delighted to be working with world-class partners on this project to ensure autonomous vehicle technology provides users with the utmost comfort and control possible." — AFP Relaxnews"